Inside every young girl is a young ballerina. 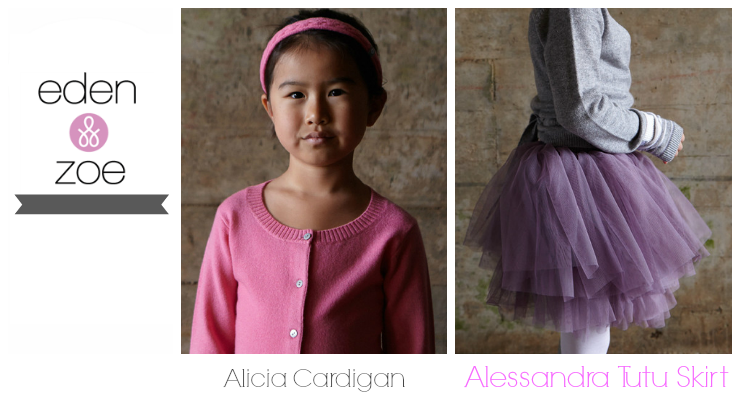 Behind every ballerina, is a mother eager to help her dress the part. Enter eden & zoe, an online boutique that specializes in cashmere knitwear for children that is both classic and sophisticated. The current eden & zoe collection showcases what it is to be a ballerina- grace, class and elegance with a contemporary twist. From the gorgeous cashmere sweaters right down to the playful headbands, everything is handcrafted and made with 100% cashmere. And unlike the typically online retailer, eden & zoe gets it right. Quality over quality. Each collection is produced in small amounts to ensure exquisite quality and exclusivity. eden & zoe clothing is made with some of the finest cashmere in the world and is sourced from the Mongolian highlands. During molting season, hair is carefully combed from native goats and then washed and spun into yarn. 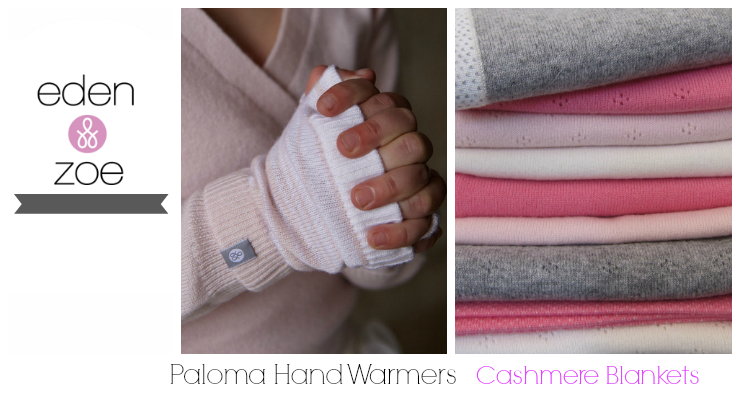 Though the process can be painstaking, the result is quality cashmere like no other. Then there is the story behind the store. eden & zoe was founded by a mother who, like most mothers, wanted the very best for her two daughters. So she set out on a mission to create cozy and stylish clothing that both of her daughters would enjoy wearing. As you can see, she's done a magnificent job. To help me celebrate two wonderful years in my cozy little space, eden & zoe has graciously agreed to offer a $50.00 gift certificate to on of my loyal readers. As always, there are rules, please be sure to follow all the steps on the rafflecopter widget carefully. This little giveaway will end Wednesday, January 30th at 12:00 p.m. The winner will be verified and notified via email and will have 48 hrs to respond before we draw again. Be sure to keep an eye on your email. * Although I was given a gift certificate to give away to my readers, all thoughts in opinion are my own. Best thing I did all day was follow you on Pinterest. Love your board. My daughter is a ballerina and could use some new digs! Thanks girl! I'm a Pinterest addict! I hope you win. 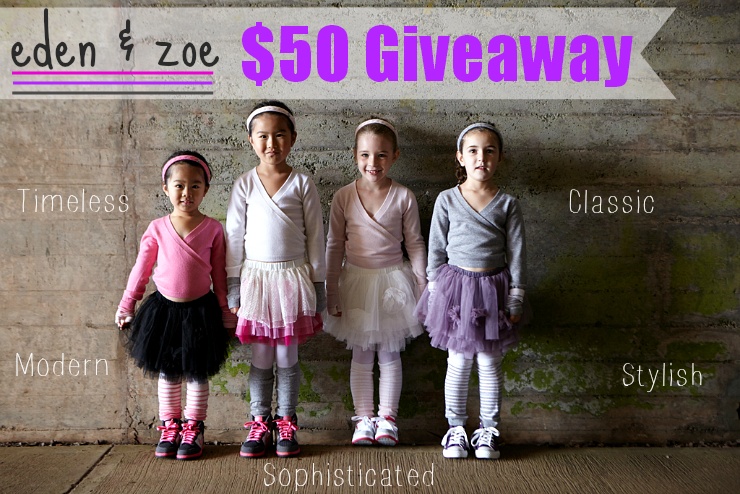 I would love to see your daughter rocking eden & zoe! I can't believe I wasn't following you on Pinterest before! How bizarre is that?! I thought I followed you everywhere! :) Looks like they have some wonderful things! It's tricky sometimes. I kept trying to monitor the giveaway from my phone, but sometimes, all it's displaying is a text link, so I have to monitor it via laptop. Got a chance to enter today! Yippee!